On Sunday I visited St David’s Uniting Church in Haberfield, in celebration of the church’s 150th year of service in the Inner West. Today, St David’s remains a beacon of community engagement in the Inner West, catering to a diverse range of worshippers and community organisations. I was also able to see the restoration progress of the church’s hall, made possible by a $2,500 grant awarded through the Federal Government’s Stronger Communities Program, which I helped to facilitate. The restoration, which includes the re-painting and remediation of the ceiling and the replacement of window panes with clear glass, has made the hall more functional and attractive for community use. 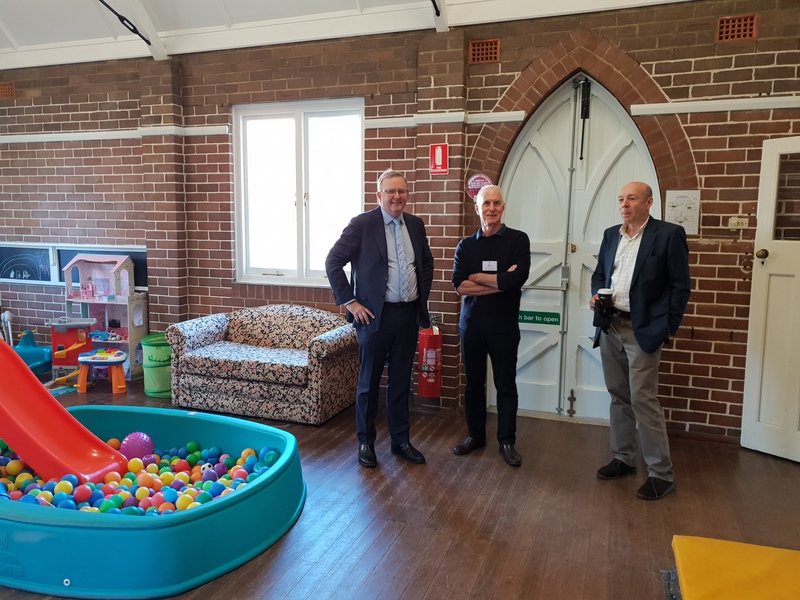 St David’s community service also governs the Ella Centre which is a valued provider of disability services under the NDIS and also hosts social support programs for people living with a disability. I wish St David’s all the best with the restoration and with their work in the community.